Ronald A. Jones, Jr., age 83, of Grayslake, IL, passed away of natural causes in the comfort of his own home on August 11, 2017. He was born in Chicago on May 20, 1934 to Marie and Ronald A. Jones, Sr. 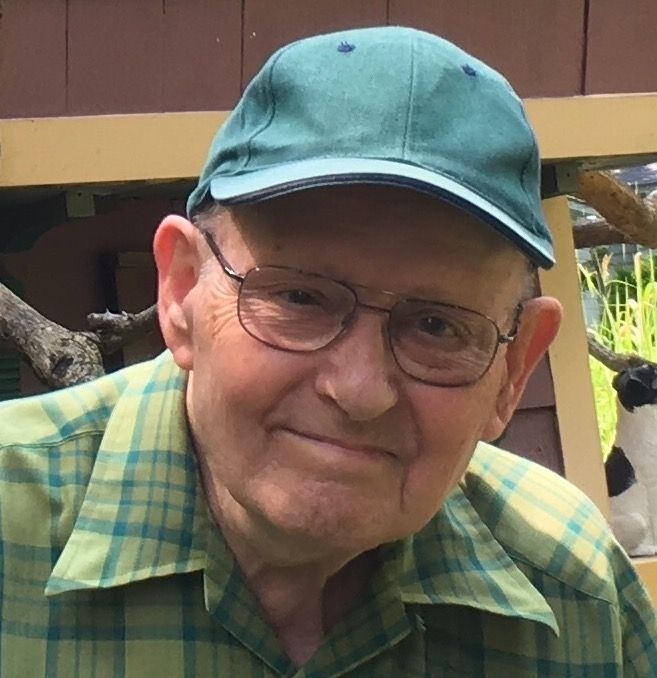 He was a 1952 graduate of Grayslake High School and then a proud “Boilermaker” receiving his Bachelor of Science degree in mechanical engineering from Purdue University in 1956. Ron (Bud) and his family moved into the area from Chicago when he was 12 years old. In his youth he enjoyed boating on Druce Lake and Round Lake. In high school he was an announcer for the basketball games. At Purdue he was a radio DJ for the dorms. Also he was a member of The ROTC, later joining the Army Reserves and achieving the rank of Captain. He started his career as an engineer at Caterpillar near Peoria, Illinois where on a blind date he met the girl of his dreams, Verlee. They married in 1958 and were together for 57 years before her passing in 2015. Ron was a man of strict routine and lived his life with incredible attention to details and documentation. But his number one priority was the health, care, and love of his family. With Verlee by his side, they attended countless ball games, concerts, plays, recitals, and graduations. The pride for his children and grandchildren was endless and the love was immense. He is survived by their 4 children, Jeff (Laurie) Jones, Valerie Jones, Vickie (Gordon) Held, and Virginia (Shawn) Fitzgerald. 8 grandchildren, Michelle, Corinne, and Kurt Jones. Anthony, Ben, and Adam Fitzgerald. Emily and Elise Held. Preceded in death by his parents, sister Shirley Schalk and wife Verlee. A visitation is scheduled at Strang Funeral Chapel, 410 E. Belvedere Rd., Grayslake, IL 60030 on Thursday, August 17, 2017, from 12 to 2 pm with a funeral service immediately following at 2 pm. Private burial. Brian Jay Terryberry, 37, of Niles, Ill passed away on August 9, 2017 in Niles. He was born January 7, 1980 in Waukegan to Jim and Jean (nee Pappa) Terryberry. He was an avid outdoorsman, loved to ride his Harley and enjoyed attending concerts. Brian is survived by his parents; brother, Jeff (Wendy) of Fox Lake; 1 niece; 2 nephews and numerous Aunts, Uncles and cousins. He was preceded in death by his grandmother, Mildred Pappa. A visitation and memorial service is scheduled for Tuesday, August 15, 2017 from 2:00pm until 6:00pm with the memorial service commencing at 6:00pm at Strang Funeral Chapel & Crematorium 410 E. Belvidere Rd. Grayslake, IL 60030. Interment will be held privately. Memorials may be made to the family for a charitable contribution of their choice. For more information please contact (847)223-8122. Dorothy R. Smith, 94, passed away Tuesday, August 1, 2017, in Bloomingdale, Il. She was born May 27, 1923 in Chicago to Chester and Anna Fabisheck. In 1941, Dorothy married Charles W. Smith. In the early 1950’s, Dorothy moved to Round Lake with her husband and children. She was a long time employee at Heppner Manufacturing. She later relocated to Mt. Prospect. Dorothy is survived by her children, Charles (Jayne) Smith, Jr., Juanita (Edward) Lang; 9 grandchildren; 19 great grandchildren, 3 great great grandchildren; and was adored by many nieces and nephews. She was preceded in death by her parents; husband; daughter, Patricia Quane; and sister, Evelyn (Al) Radzik. A visitation and memorial service is scheduled for Saturday, August 26, 2017 from 10:00am until 11:00am with the memorial service commencing at 11:00am at Strang Funeral Chapel & Crematorium 410 E. Belvidere Rd. Grayslake, IL 60030. Interment will be held privately. In lieu of flowers, memorials can be made in Dorothy’s name to a charity of your choice. For more information please contact (847)223-8122. Gail Forman Holmes, 63, a resident of Gurnee, IL, passed away on Sunday, July 30, 2017. She was born December 31, 1953 in Melrose Park, Illinois. Gail was employed as a long time police and fire dispatcher for Glencoe Public Safety. Gail is survived by her beloved husband, Lyle A. Holmes; father, William C. Forman; brother, James (Laure Ann) Steel and Garry (Sheila) Forman; and aunt to many nieces and nephews and good friend to many. She is preceded in death by her mother, Joan Forman; and her biological father, Robert E. Gross. A memorial visitation and service is scheduled for Sunday, August 6, 2017 from 1:00 p.m. until 5:00 pm with the memorial service commencing at 5:00pm at Strang Funeral Chapel & Crematorium, 410 E. Belvidere Road, Grayslake, IL 60030. Burial will be held privately. In lieu of flowers, memorials may be made to the American Diabetes Association, 2451 Crystal Drive, Suite 900, Arlington, VA 22260 or diabetes.org/donate/ (800)342-2383. For funeral information, please call 847-223-8122. Elaine M. Watson, 84, a resident of Chicago, passed away Wednesday, August 2, 2017 at RML Specialty Hospital in Hinsdale, IL. She was born January 23, 1933 in Minneota, MN to Jules and Mary DeKaiser. Elaine was a past President of American Legion Womens Auxillary Post 473 in Chicago. She retired from CPS Wholesale after many years of service. She is survived by her children Jaime (Robert) Watson, Tracy (Ray) Watson-Horner, Robin Dixon, and Kevin Watson. Her grandchildren Daniel Wright, Jeffrey (Katie) Wright, Analiese (Derrick) Brown, Adrienne Brown, Joshua Vaughn, Aragorn “AJ” Horner, Ryley Horner, Rae “Annie” Horner, Taylor Horner, Jensen Horner, and Adam (Laura) Dixon, and her great-grandchildren Hayley Roseberry, Kayelyn Nave. She was preceded in death by her parents, her daughter Shelley, and her infant son Jordan James. A visitation and funeral service is scheduled for Friday, August 4, 2017 from 4:00pm until 8:00pm with a funeral service commencing at 8:00pm at Strang Funeral Chapel & Crematorium 410 E. Belvidere Rd. Grayslake, IL 60030. Interment will be held privately. For more information please contact (847)223-8122 or log onto www.strangfuneral.org. Charlene L. Rockenbach (nee Wray), 90, a resident of Grayslake, passed away August 1, 2017. She was born August 19, 1926 in Waukegan to Charles and Irene Wray (nee Bacigalupo). Charlene loved being a nurse. 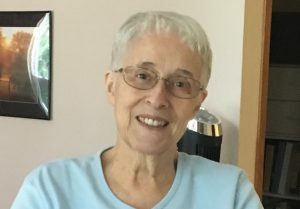 She was a member of the United Protestant Church of Grayslake, belonged to the Daughters of the American Revolution and loved traveling in the family RV. Charlene was a loving wife, mother, and grandmother. Charlene is survived by her children, Jean Topping of Alabama, Sally Kelly of Illinois, Laura Behrensmeier of Illinois; her stepchildren, Pam (Charles) Relitz, Dennis (Jean) Rockenbach; 12 grandchildren; 13 great grandchildren; sister, Joanne Lawrence of Illinois; and many nieces and nephews. She is preceded in death by her parents; her 1st husband, William Behrensmeier; 2nd husband, Raymond Rockenbach; sister, Beverly Strauss. A visitation is scheduled for Monday, August 7, 2017 from 10:00am until 11:00am with service commencing at 11:00am at THE UNITED PROTESTANT CHURCH OF GRAYSLAKE, 54 South Whitney St, Grayslake, IL 60030 with Rev. Orrell C. Ruth officiating. Interment will be held privately at Avon Center Cemetery in Grayslake, IL. In lieu of flowers, donations may be made to The United Protestant Church of Grayslake. All arrangements were entrusted to Strang Funeral Chapel & Crematorium, 410 East Belvidere Road, Grayslake. For information, call 847-223-8122. Patricia Loise Timmons (nee Gaughan) passed away Monday, July 31, 2017, after a valiant battle with cancer. She was born January 8, 1942, in Chicago, Illinois to the late Loise and Gerard Gaughan. For 54 years she was a devoted wife to Stephen E. Timmons, Sr.; a loving mother to Stephen Jr. (Ligita), Debra Plant (Robert), and Sharon Neustadt (Mark). She was a caring daughter-in-law to the late Isabelle and William Timmons. Her grandchildren remember her as a fun-loving grandmother — Drew and Kyle Timmons, Tomas and Mindaugas Uzkurenas, Caitlyn, Megan, Sara, and Erin Plant, and Lauren and Dexter Neustadt. 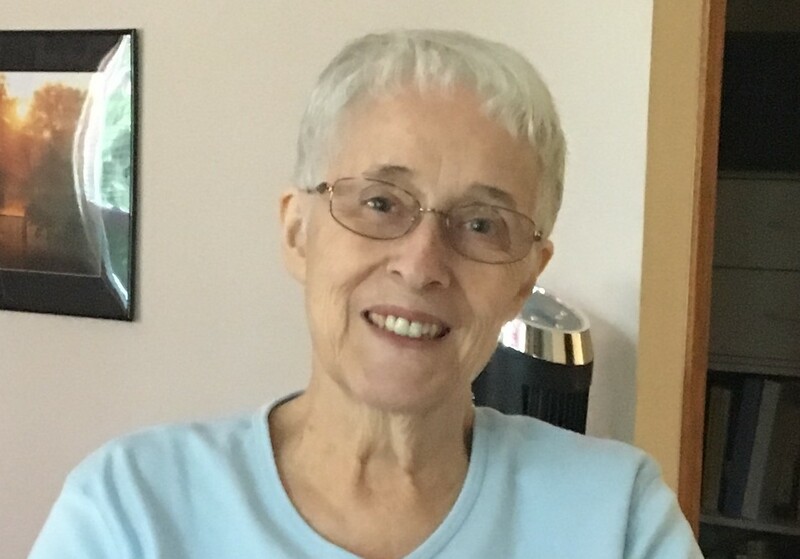 Fond sister to Frances Solka (Bruce), (the late) Elizabeth, Mary Coyne (Timothy), and Peggy Brink (Thomas); a dear sister-in-law to Barbara Bame (the late James) and Jenifer Hahn (Mark); cherished by many nieces and nephews; she shall be deeply missed. She loved her family, Thanksgiving, flowers, puzzles, and movies. She had an eclectic taste in music which she shared with her family. She could smell a bad bottle of milk 3 days before it went bad. Her life was full of love, faith, and kindness. Friends of the family may visit Thursday, August 3, 2017 from 4:00pm until 8:00pm at STRANG FUNERAL CHAPEL & CREMATORIUM, 410 E. Belvidere Rd., Grayslake, IL 60030. The funeral mass will be held on Friday, August 4, 2017 at 11:00a.m at St. Paul the Apostle Church 6401 Gages Lake Rd. Gurnee, IL. In lieu of flowers, donations to Catholic Indian Mission, Standing Rock Indian Reservation, PO Box 639, Fort Yates, ND 58538-0639, would be appreciated. For information, call 847-223-8122 or visit www.strangfuneral.org.